His new book, Autumn Light, is described as "a far-reaching exploration of Japanese history and culture and a moving meditation on impermanence, mortality, and grief." Read more here. 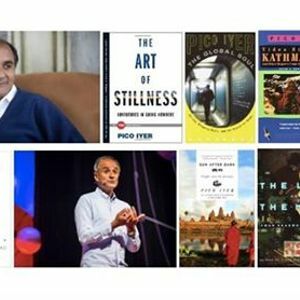 His other books include Video Night in Kathmandu, The Lady and the Monk, The Global Soul, The Open Road, Falling Off the Map and numerous others. Iyer is a graduate of Eton, Oxford, and Harvard, the recipient of a Guggenheim Fellowship, and a frequent resident in a Southern California Benedictine hermitage when away from rural Japan. He has been featured on On Being, the TED Stage, and honored at universities around the world. 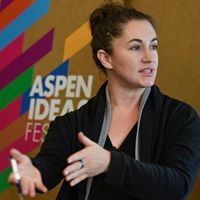 Host Jenara Nerenberg was a foreign correspondent in Asia, primarily for Fast Company and CNN, before returning home to California and her roots in film, psychology and philosophy -- which was the focus of her graduate work at Harvard's Kennedy School, the School of Public Health, and MIT. The producer of several author series for the UC Berkeley Greater Good Science Center, Garrison Institute, and elsewhere, her startup The Neurodiversity Project has brought together diverse minds and bestselling authors to process the depth and complexity of modern life -- from media and medicine to civil rights and activism -- to steer us toward a future designed for more nuanced thought. She was based in Nepal for six years, with frequent trips to India, Japan, Thailand, Hong Kong, and South Korea, and her work appears in TIME, Travel & Leisure India, Healthline, KQED and elsewhere. She was named a "Brave New Idea" speaker by the Aspen Institute for her work in re-framing neurological difference. Past events and interviews include Krista Tippett, Roshi Joan Halifax, Rev angel Kyodo williams, Sebastian Junger, Gabor Mate, Steve Silberman, Mary Pipher, Courtney Martin, Omid Safi, Bill Hayes, Darnell Moore, and numerous others. This is an intimate event open to the public, held at the International House at UC Berkeley, and reservations must be made in advance. We look forward to welcoming you -- please book your seats here.